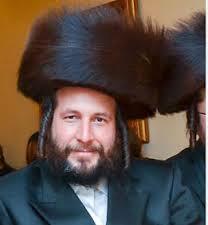 Erskin Felix was convicted Monday of the kidnapping and murder of Menachem (Max) Stark, Hy”d, more than five years ago. With the conviction, all four men accused of involvement in the crime have been convicted or have pleaded guilty. Stark was kidnapped by two men on the night of January 2, 2014, outside his Williamsburg office, and forced into the men’s minivan. His body was found burning in a dumpster on Long Island the next day. 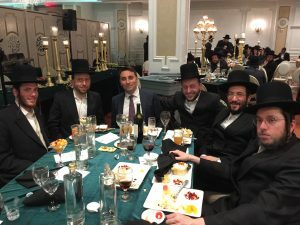 A cellphone tracking device recovered under Menachem’s SUV – and the minivan seen on surveillance footage of the kidnapping – were soon both tied to the Felix family, immigrants from St. Lucia residing in Crown Heights, New York. Kendel Felix, the only man to give a confession to police, was tried and convicted of murder and kidnapping in September 2016. Soon after his trial, his cousin Erskin Felix, Erskin’s brother Kendall Felix, and their cousin Irvine Henry were arrested. During the course of the next two-and-a-half years, Kendel, facing a maximum of 25 years to life in prison, would reach an agreement with prosecutors to cooperate in the case against Erskin, in exchange for a recommendation that he be sentenced to the minimum of 15 years to life. Irvine would also reach an agreement: He pleaded guilty to hindering prosecution, and attempted tampering with physical evidence. In exchange for testifying against Erskin, prosecutors agreed to drop the hindering charge and recommend that he be sentenced for the lower charge to no more than the three months he already sat in jail before posting bail. Kendall would plead guilty to second-degree conspiracy and first-degree hindering prosecution, and be sentenced to between 2-1/3 and seven years in prison. Erskin’s trial got underway with opening statements on March 15. On April 8, the trial’s eleventh day, the jury of eight men and four women deliberated for fewer than five hours before ruling Erskin guilty of murder, kidnapping and tampering with physical evidence. He was acquitted of another kidnapping charge and a conspiracy charge. Erskin faces a maximum sentence of 25 years to life in prison when he is sentenced on May 1 by Brooklyn Supreme Court Justice Danny Chun. Following is a recap of the trial. Erskin Felix “was the mastermind behind this plan,” who “brought his family members into various stages of his plan,” said prosecutor Emily Dean in her opening statement. Dean and her fellow Brooklyn Assistant District Attorney Howard Jackson would prosecute this case as they had prosecuted Kendel, Kendall and Irvine. Erskin managed construction sites run by a man named Thomas Falcone, which were owned by Menachem, a real-estate developer. Kendel, Kendall and Irvine worked as carpenters on these sites. Prosecutors believe that Erskin, claiming Menachem owed him money, hatched a scheme to kidnap Menachem for ransom. Erkin and Kendel kidnapped Menachem, and then drove with him bound and gagged in their minivan to pick up Kendall. Then they drove to Irvine’s house, and picked him up as well. At some point after Irvine joined the group, they realized Menachem was no longer alive. Erskin had unintentionally suffocated him when he sat on him earlier to hold him down. Erskin and Irvine eventually left the vehicle and began to walk back toward the area of Menachem’s office, most likely to retrieve the tracking device Erskin had placed under Menachem’s car weeks earlier. After walking for a few minutes, they thought better of it and left. Erskin called Kendel and told him to drive with Kendall out to Long Island and get rid of Menachem’s body. They drove out in a blizzard, depositing Menachem’s body in a gas station dumpster and setting it aflame. But Dean said that the testimony of Kendel and Irvine would be corroborated by other evidence, including cellphone-location data showing Erskin in the places in question on the night of the murder, and text messages sent by Kendel and Kendall to Erskin discussing the crime. Dean said there would be a “mountain of evidence” pointing to Erskin’s guilt. “Unfortunately, [Erskin] made the mistake of bringing family members into his business,” said Pollard, “and they did him dirty, blaming him for something that they did, and they messed up, and later on they said, ‘He was the guy,’ ” to get lower sentences for their own crimes. In her testimony on the first day of the trial, Menachem’s widow, Mrs. Bashie Stark, recalled how, several years before Menachem’s death, she had seen Erskin doing construction work on her home and chatting with her husband. “They were friends, they got along well,” said Mrs. Stark, who said she had never seen Kendel, Kendall, or Irvine Henry before their arrests. 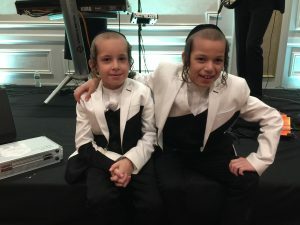 Investigators’ first break in the case came when they discovered a cellphone tracking device under Menachem’s vehicle. The device was registered to a Pennsylvania resident named Jeff Sealy, a friend of Erskin’s also worked on his construction sites. Sealy testified that in December 2013, Felix asked Sealy “to open up a cellphone in my name for him,” as Felix “couldn’t do it with his current carrier.” Sealy, unlike Felix, had a cellphone plan with Sprint, and could use the Sprint Family Locator feature, which allowed a “parent phone” to track a “child phone” set up on the same account. Sealy said Felix told him he wanted to use the phone to track a friend. 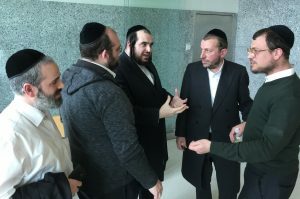 Sealy, who has not been accused of wrongdoing, said he had never heard of Menachem until after hearing of his death on the news, and then hearing others on the construction site discussing the news as well. Shortly after Stark died, Erskin asked Sealy to shut off the tracked phone. “He said he didn’t need the phone anymore so I should just turn it off,” Sealy testified. At the same time, investigators were looking at the tracking device, they were working on locating the Dodge Caravan seen on surveillance video of the kidnapping. An auto expert identified unique characteristics of the vehicle; checks were then done on the cameras recording all vehicles going through tunnels and bridges in New York. That vehicle was spotted, and was identified as belonging to Philip Felix, the father of Erskin and Kendall, who lived in Crown Heights. Police began surveilling the vehicle and house. Discovering that the minivan had unpaid parking tickets, uniformed police officers pulled the car over one day when Philip was driving it – ostensibly for a broken taillight. After running the plate and “learning” of the unpaid tickets, the car was impounded by police. Upon hearing that the vehicle was being held by police, Erskin sent Jeff Sealy and Irvine Henry to the precinct to pay the tickets. But the police never did release the vehicle. It was being towed to the 105th Precinct for a forensic examination. Menachem’s DNA would be found inside. Thus, less than two weeks after Menachem’s death, investigators had the vehicle used in the kidnapping and had tied the Felix family to the crime. Now, the only question was which family members were involved. What broke the case open was Kendel Felix’s confession. On April 29, 2014, police separately requested interviews with Erskin, Kendel, Irvine and Sealy. They eventually got a confession out of Kendel, who also implicated Kendall; they interviewed Kendall the next day. Following his confession, Kendel was arrested in the early morning hours of April 30. He was convicted in September 2016 of kidnapping and murder. Erskin and Kendall were arrested a month later. In his testimony at Erskin’s trial, Kendel described the abduction and death of Menachem in chilling detail. Irvine said that he only realized Menachem was no longer alive once they were driving, but Kendel said that Irvine noticed Menachem was dead as soon as he came out to the car. Irvine said Menachem was sitting on the bench, but Kendel said Menachem was lying on the floor. According to Kendel, some time after Erskin and Irvine began walking toward Menachem’s office, Erskin had called him and said “this place is full of cops yo, drive off, drive off somewhere far, get rid of the body … deep in Long Island.” But Irvine said Erskin decided to leave only because Irvine had told him “that we were two black men in a Jewish neighborhood where a man had been kidnapped, and I think it would be best for us to get out of here.” Irvine made no mention of hearing Erskin call Kendel and tell him about cops being there, or to dump the body. During cross-examination, Pollard, whose defense rested in large part on discrediting Kendel and Irvine, emphasized Kendel’s admitted past brain injury and current memory loss due to a 2010 motorcycle accident. Kendel also admitted to having associated with Crip gang members, and participated in a video flashing gang signs, though he insisted that he never actually joined the gang. Irvine Henry admitted to past petty crimes, such as selling Beats headphones he knew were likely counterfeit. Pollard — with the agreement of Kendel and Irvine — portrayed Erskin as a caring “big brother” figure to relatives and friends, and contrasted that with Kendel’s and Irvine’s character. He also emphasized that Kendel and Irvine stood to gain from their testimony against Erskin by receiving reduced sentences. Irvine began tearing up as he told Pollard that, since his arrest at the end of 2016, he has not had a close relationship with Erskin’s family. When questioning was over and Irvine was finally excused from the witness stand, Irvine dissolved into tears, openly sobbing as he left the courtroom under police protection. 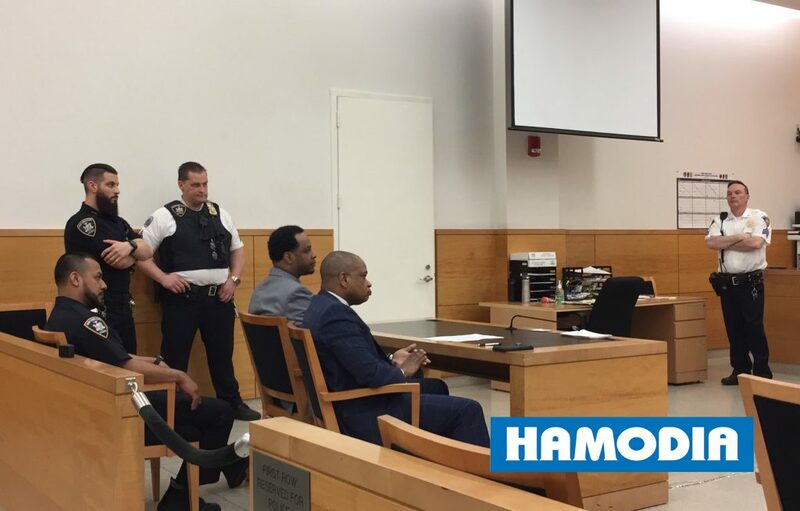 Sources familiar with the case have told Hamodia that Irvine fears reprisals for his testimony, as does Kendel, who is in protective custody in jail as he awaits sentencing. Text messages retrieved from Kendel’s and Kendall’s phones show them sending messages to Erskin discussing the crime. Prosecutors also showed cellphone-location data, which showed the participants’ phones, as well as Menachem’s, in the locations testified to by Kendel and Irvine, on the night of the murder. Pollard argued that the location data could not prove who was carrying the phone at the time. Though Erskin has repeatedly been referred to as the “mastermind” of the plan, prosecutor Howard Jackson said in his closing argument that he would never actually use that term. During his own closing argument, Pollard did not offer a specific alternative to the prosecution’s theory as to what occurred on the night of Menachem’s death, but argued that there was enough reasonable doubt about Erskin’s role for the jury to pronounce his client not guilty. But in the end, the prosecution’s “mountain of evidence” was too much to overcome. The jury, which had begun deliberations at 11:06 a.m., reached its verdict around 4:00 p.m.
Erskin was convicted of second-degree murder under the felony-murder rule, as Menachem had died in the course of the kidnapping. He was also convicted of first-degree kidnapping (kidnapping resulting in death) and tampering with physical evidence. He was acquitted of another first-degree kidnapping charge (kidnapping for ransom) and a conspiracy charge. Menachem’s second son had gotten married during the trial; Monday evening would be conclusion of sheva brachos. “It was not coincidental that the conviction happened today,” said Menachem’s widow, Mrs. Stark. “We know that the neshamos are with the family until after sheva brachos, and we are sure that in that zechus, the verdict was handed down today. And enjoy it they did. 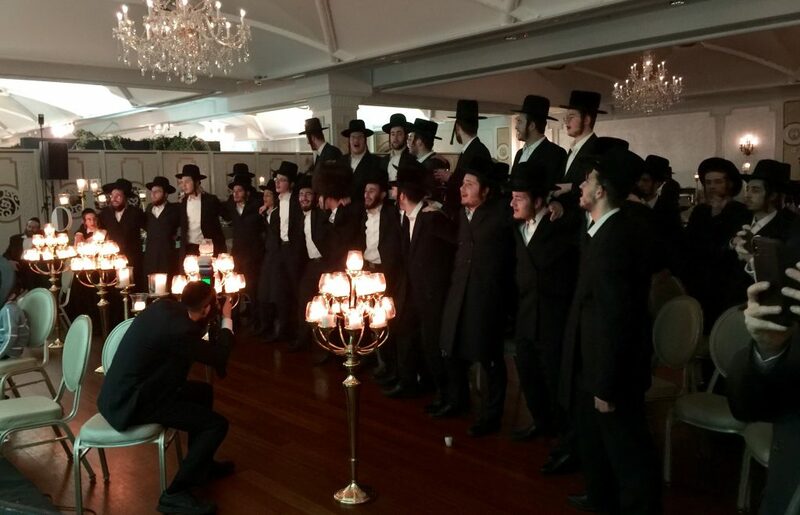 The sheva brachos celebration was a memorable one. Many participants said it was even more festive than the wedding – a night that would be celebrated in total bliss, without the strains and uncertainties of ongoing trials, meetings with prosecutors, and trips to Brooklyn Supreme Court. The singing and dancing was long and loud, continuing through the night. 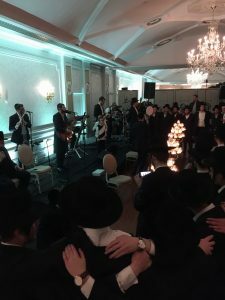 The presence of Menachem’s neshamah was felt by all, finally at peace, exulting in joy.